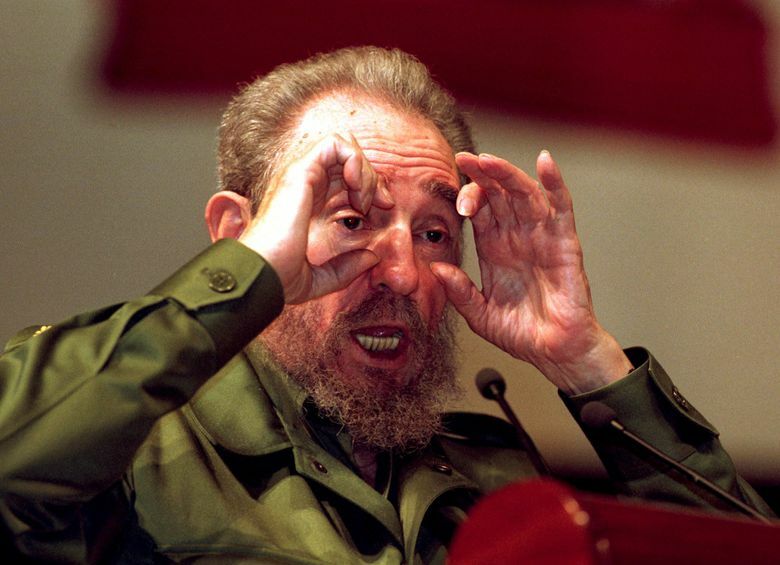 HAVANA (AP) — Fidel Castro’s revolution was slowly dying — or so it seemed. Communism had collapsed in Europe, and Cuba’s Soviet lifeline was severed. Food was in short supply. Power outages silenced TV sets normally tuned to a nighttime soap opera. Factories rusted in the tropical heat. The title of an American book seemed just right: “Castro’s Final Hour.” That was in 1992. Castro’s “final hour” became weeks, then months, then years. Even as China and Vietnam embraced free markets, Castro clung to his socialist beliefs and Communism’s supposed dinosaur went on to rule for another decade and a half. Along the way he became godfather to a resurgent Latin American left, mentoring a new generation of leaders: Hugo Chavez of Venezuela, Evo Morales of Bolivia, Rafael Correa of Ecuador. 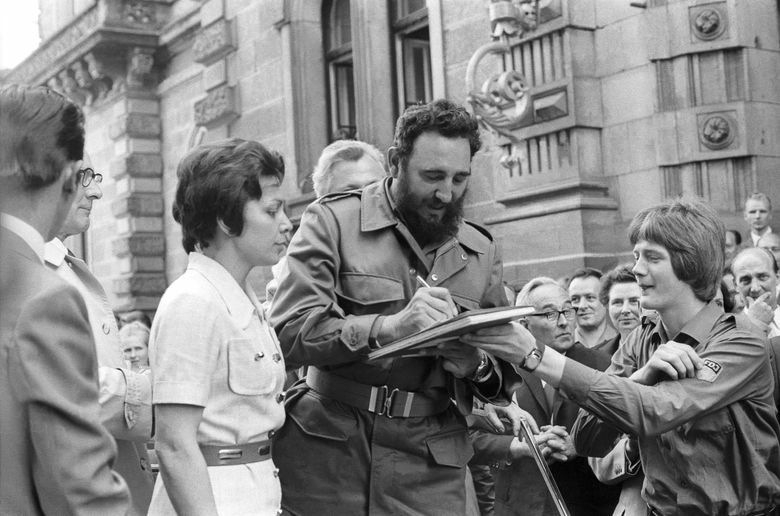 To the end, Castro remained a polarizing figure. For many he was a champion of the poor who along with Ernesto “Che” Guevara made violent revolution a romanticized ideal, a symbol of liberation who overthrew a dictator and brought free education and health care to the masses. To exiles who longed for Castro’s demise he personified a repressive regime that locked up political opponents, suppressed civil liberties and destroyed the island’s economy. Hundreds of thousands of Cubans began fleeing north almost immediately after Castro’s 1959 revolution as he started turning exuberantly capitalist Cuba into a socialist state, dismaying reformists who thought he meant only to topple thuggish strongman Batista and restore democracy. The exodus transformed not only Cuba but also parts of the United States, most notably South Florida, which became the center of virulent anti-Castro sentiment. As Cuban exiles gained political strength, they became a bulwark against softening America’s trade embargo against the island. To those whose families were uprooted and saw their properties seized, Castro was nothing less than a tyrant. 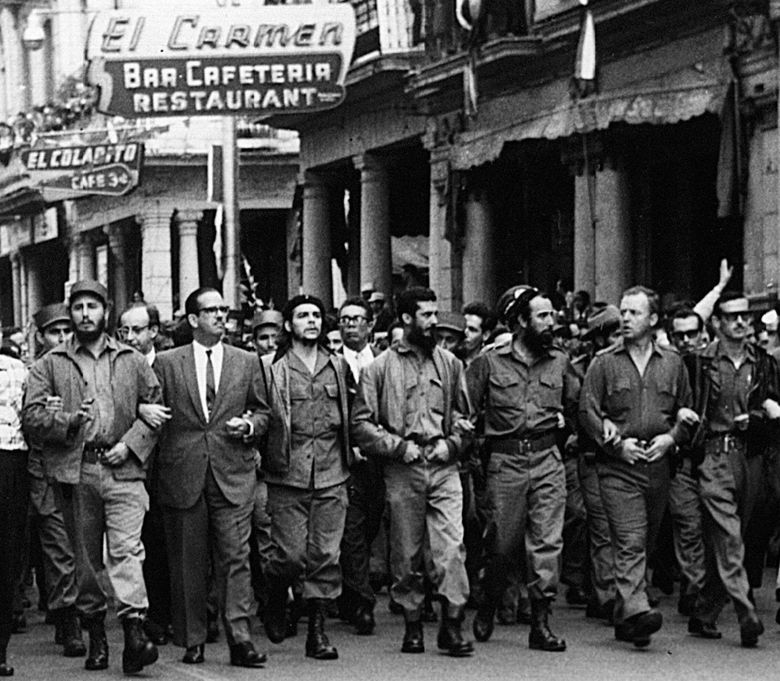 Castro’s “barbudos,” as the bearded rebels were known, marched triumphantly into Havana days after Batista fled on Jan. 1, 1959. The United States was among the first countries to recognize the new government. But the rebels’ image quickly darkened as impromptu courts sent officials of the old regime to the firing-squad wall. Castro was outraged at the resulting U.S. criticism, calling it “the vilest, most criminal and most unjust that has been launched against any people.” It was a tone of righteous indignation Castro would return to time and again over the decades, convinced to the end of the justice of his revolution. Angel Castro had come from Spain’s impoverished Galicia province to fight against Cuban independence, and settled in the new nation in 1902 as a landless laborer. Barely literate, he organized contract labor for the U.S.-based United Fruit Company and bought land, eventually building a 32,100-acre farm in a lawless, backward part of eastern Cuba. Decades later, the farm would become the first property officially confiscated by his son’s government under a land reform program. Fidel Castro was born on Aug. 13, 1926, to Angel’s maid, lover and eventual second wife, Lina, who also had roots in Galicia. He grew up in a rambling two-story wood house, attended a one-room plantation school and learned to hunt. Younger brother Raul once tended bar at the family’s roadside saloon. Castro attended Roman Catholic Church schools in the eastern city of Santiago and then in the capital, Havana, where he was named the country’s best schoolboy athlete as a basketball player. He also loved baseball, though the legend he was scouted by Major League Baseball is untrue. While studying law at the University of Havana, Castro plunged into the chaotic political scene of the day, joining violent student “action groups.” He was arrested, though never charged, in the 1948 slaying of another group’s leader. He joined abortive efforts to topple Rafael Trujillo’s dictatorship in the nearby Dominican Republic and took part in riotous protests in Colombia following the assassination of a presidential candidate there. Castro then became an activist lawyer with ambitions of a seat in Cuba’s Congress until Batista organized a coup d’etat on March 10, 1952, short-circuiting scheduled elections. “Many great things in history started out as crazy acts,” said Pedro Trigo Lopez, another survivor. 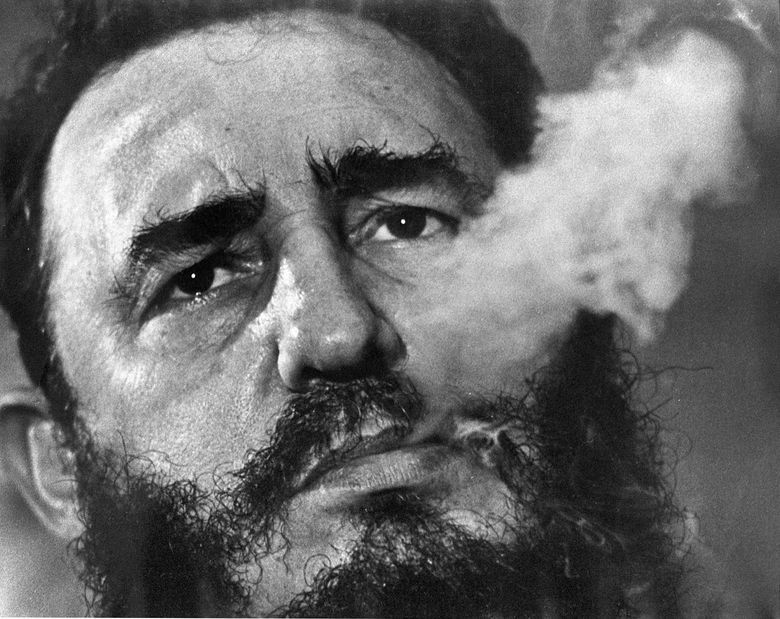 Castro was imprisoned but won sympathy because of Batista’s bloody response to the attack. Freed in an amnesty, he and Raul fled to Mexico and began recruiting a tiny rebel army. Fidel also went to New York City to raise money for his cause. Among those who joined up in Mexico City was “Che” Guevara, an Argentine physician who had witnessed the crudely disguised CIA overthrow of Guatemala’s elected president. In 1956, Castro loaded the “Granma,” a creaky yacht meant for a dozen, with 82 fighters and set off for Cuba. Batista’s forces were tipped off and spotted the wallowing boat before it could land, and all but 12 of the rebels were killed or arrested before they could flee to the nearby Sierra Maestra mountains. 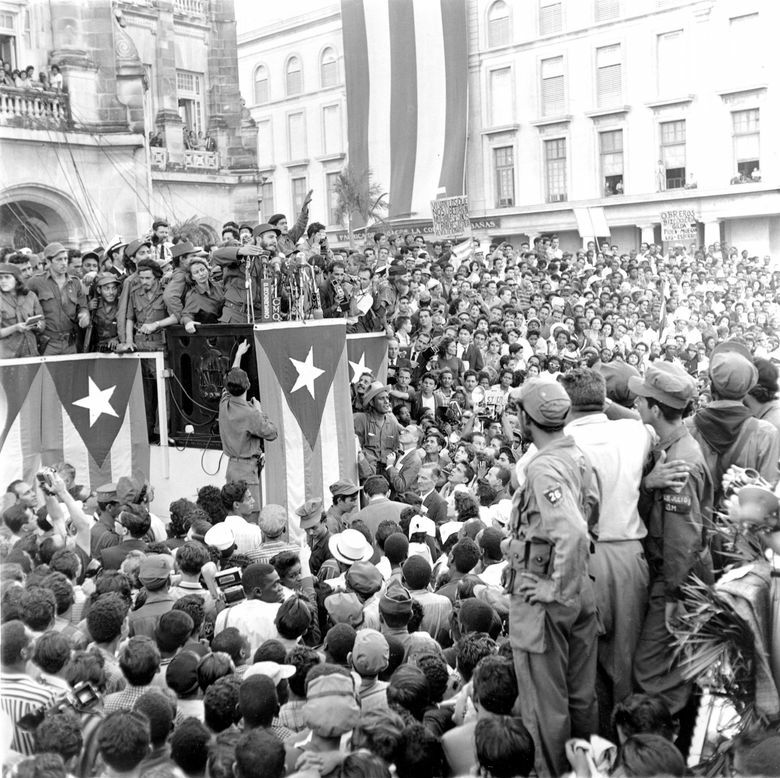 Yet the guerrilla war against the Batista regime gradually became unstoppable, culminating in Castro’s Jan. 8, 1959, entry into Havana before throngs of jubilant Cubans. 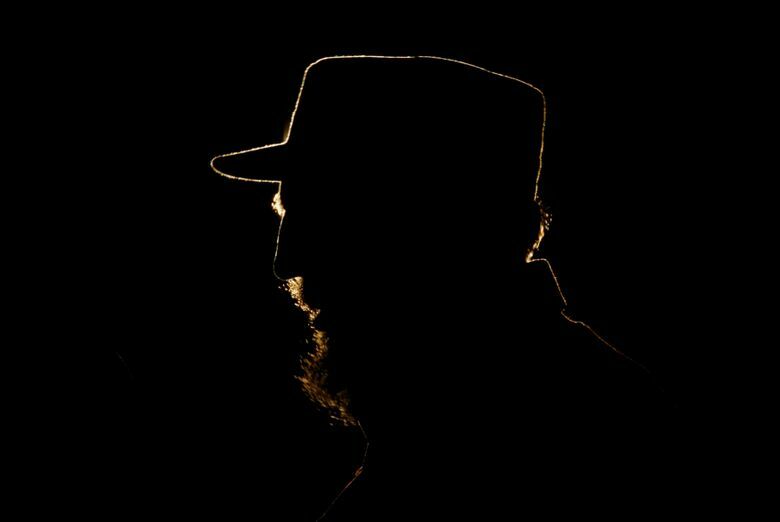 To generations of youths who witnessed the moment, he became a larger-than-life figure known simply as Fidel, and for decades the left in Latin America considered him nearly infallible. Hundreds of thousands turned out for Castro’s speeches, hearing his high-pitched voice soar for hour after hour. He would walk listeners through world history, dip into provincial cane-cutting statistics, chuckle maliciously about his foes and then thunder about capitalist injustice. His 269-minute address to the U.N. General Assembly in 1960 set the world body’s record for length, a mark that is unlikely to be broken. “How much America and the peoples of our hemisphere need a revolution like the one that has taken place in Cuba!” he said days after his triumph. 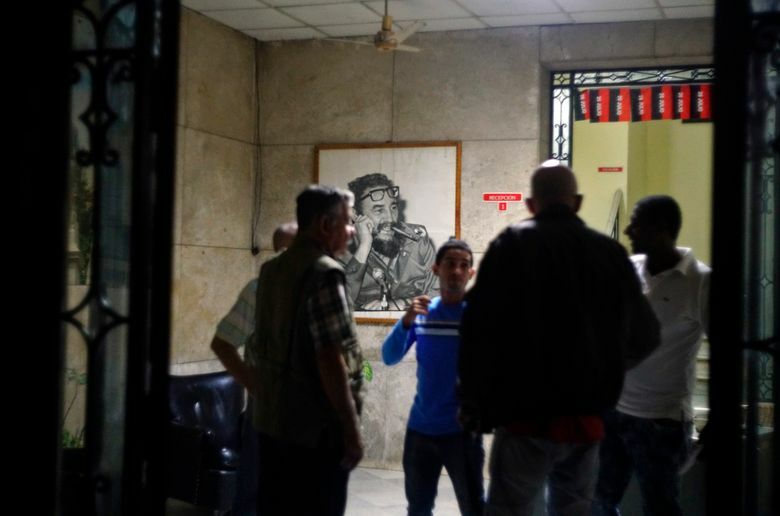 Most of the foreign uprisings inspired by Cuba’s government fizzled, including Guevara’s fumbling effort to bring revolution to Bolivia, where he was captured and killed in 1967. But rebels helped by Cuba toppled Nicaragua’s government in 1979 and battled to a peace treaty in the 1990s in El Salvador and Guatemala. Castro became a hero to many Africans for sending more than 350,000 Cubans to join Angola’s civil war against a faction backed by the U.S. and South Africa’s white apartheid government. The U.S. government cut off aid to Batista’s government in its dying days. But even American officials alert to any whiff of Soviet influence were not quite sure what to make of the rebel leader. 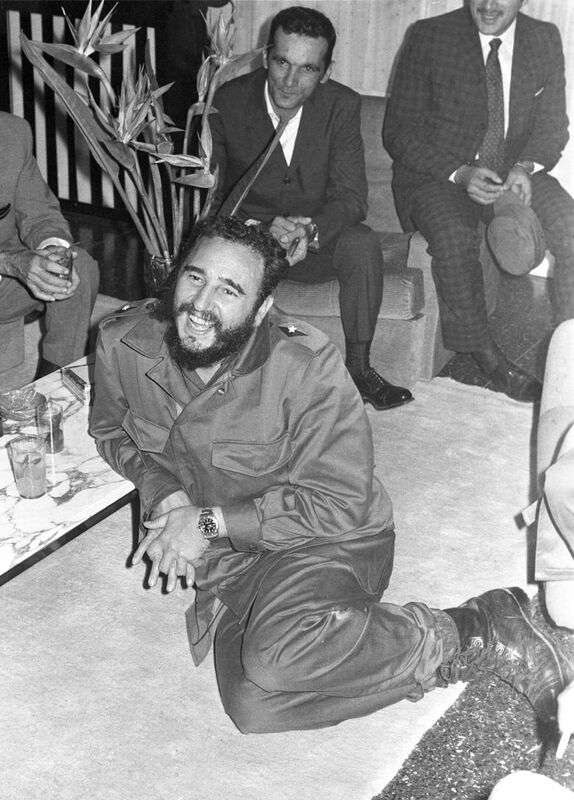 When Castro came to the U.S. as Cuba’s new prime minister in April 1959, he denounced communism, wooed the press, met then-Vice President Richard Nixon and reached through bars to pet a tiger at the Bronx Zoo. 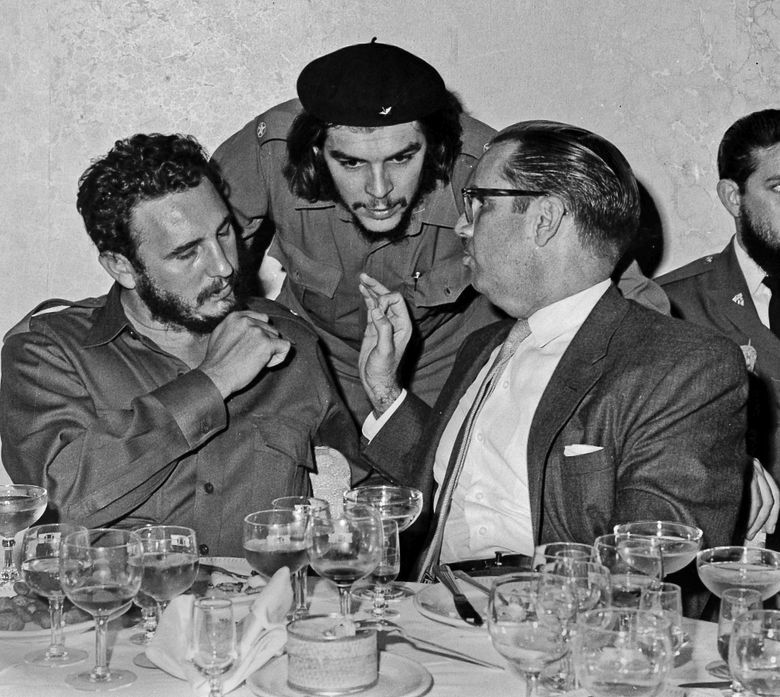 The popular Cuban magazine Bohemia lionized Castro and assured readers that he would never embrace communism. A year later, Bohemia’s editor fled as the government took over all independent media, much of the economy and social organizations. The U.S. government, anxious over Castro’s lurch to the left, began imposing economic restrictions and backing plots to overthrow him. It was a tense time in the Cold War, and Washington feared Castro had loosed a political virus that would infect other Latin American countries. “El Comandante” pushed even more quickly toward the Soviet camp. Factories and even neighborhood shops were transformed into state enterprises. Farms were collectivized. Once-independent labor unions were absorbed into the Communist Party system. No other parties were allowed. Every neighborhood had its “Committee for the Defense of the Revolution” keeping watch for subversive tendencies. 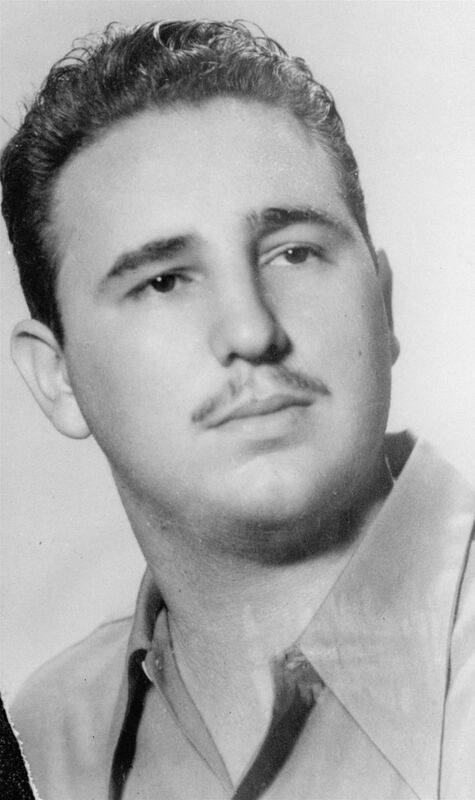 Exiles formed guerrilla bands to try to topple Castro, and the CIA recruited, trained and organized them for the Bay of Pigs invasion of April 1961. It was a debacle for the U.S., and a triumph for Castro, who climbed into a tank to direct some of the island’s defenses. More than 1,200 invading troops were captured, about 100 were killed and the operation was crushed. That was the moment the combative leader chose to officially declare Cuba a socialist country. By year’s end, it had adopted Soviet bureaucracy and textbooks. It waged war on rock ‘n roll and sent priests, gays and others considered socially suspicious to labor camps. Instead, it turned to tougher sanctions to strangle Cuba’s economy. President John F. Kennedy imposed what came to be known as the U.S. embargo on Feb. 7, 1962, widening existing sanctions. The measure would remain stubbornly in place for the rest of Castro’s life. Castro, meanwhile, deepened his embrace of Moscow, agreeing to host thousands of Soviet military “advisers” and silos containing nuclear missiles, a decision that brought the world to the brink of destruction. Once it got wind of the missiles, the Kennedy administration ordered a blockade of the island and demanded the Soviets pull out. The standoff known as the Cuban Missile Crisis ended — over Castro’s objections — with the Soviet decision to remove the warheads. 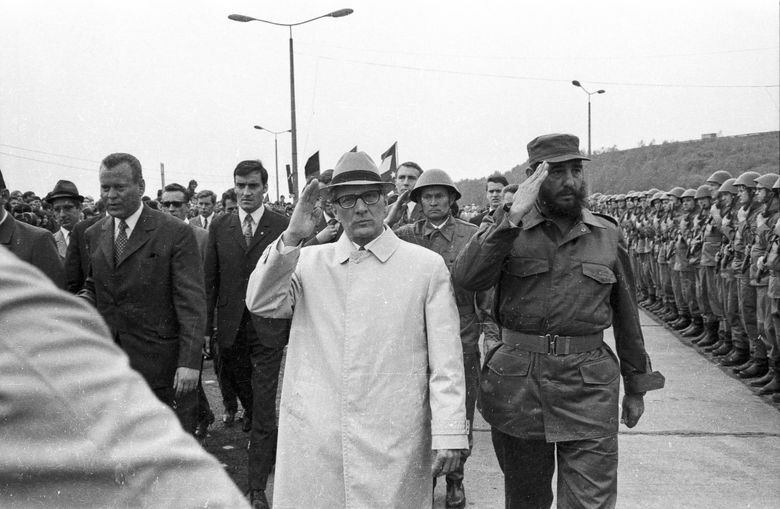 Despite his disappointment at what he saw as Khruschev’s weakness and betrayal, Castro moved the country even more toward Soviet-style socialism and intensified his crackdown on dissent. Castro’s revolution, coming as the U.S. was wrestling over its own racial conflicts, uprooted a profoundly racist system on the island, and suddenly the sons of impoverished black cane-cutters became doctors and scientists. Today Afro-Cubans hold an increasing number of prominent positions, although the island’s blacks complain that race-based poverty, job discrimination, police harassment and other problems remain entrenched. Even some of Castro’s sisters, daughters and former lovers left the island. So did his first wife, Mirta. Five years later he managed to divide America again when a refugee’s child named Elian Gonzalez washed ashore in Florida. A heartbreaking tug-of-war between the Cuban father and Miami relatives was resolved when a U.S. government assault team seized the boy. The Clinton administration said it was simply upholding the law after U.S. courts ruled for the father, but exiles saw Gonzalez’s return to Cuba as a victory for Castro. The wave of emigrants in the revolution’s first years included most of Cuba’s doctors and many professionals, profound losses for a society that had been one of the most developed, but also unequal, in Latin America. 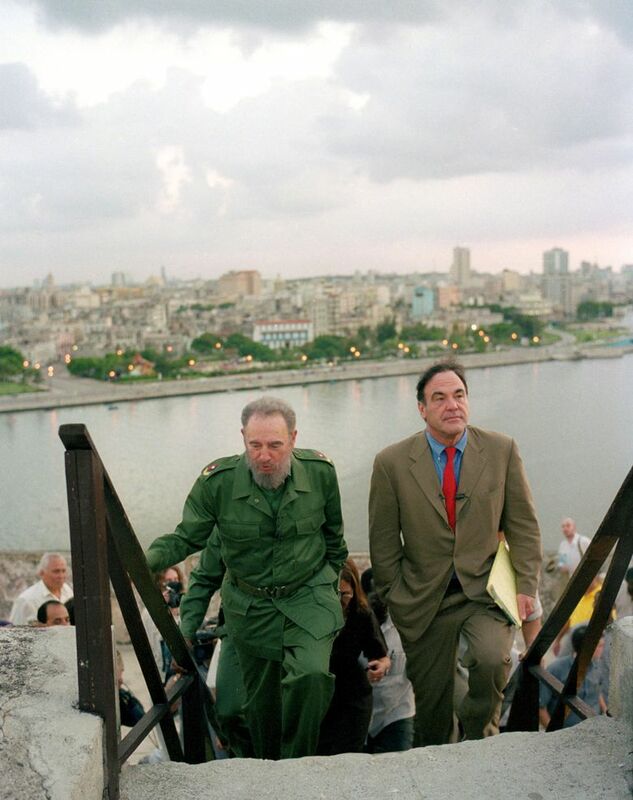 Throughout his rule, Castro remained a thorn in America’s side, unchanged and unbowed even after the disappearance of the U.S.S.R., which had been Cuba’s guiding light, greatest ally and No. 1 trade partner. For decades, Cuba had followed Moscow’s line in international affairs, until he rebelled at Mikhail Gorbachev’s “glasnost” opening of the late 1980s. Apartment dwellers began raising pigs and chickens in their buildings. State TV offered tips on making “steak” from grapefruit rind. Farmers replaced tractors with oxen. By night, crowds of hungry youths in tattered T-shirts idled away hours on Havana’s concrete seawall, watching the tides wash away toward Miami. It was the lowest point in Castro’s revolution, and he did something that for him was truly revolutionary: He compromised. Comparing it to “walking on broken glass,” Castro allowed a few seeds of a free-market economy to bloom. Scores of small-scale private jobs were legalized. Cubans were allowed to use dollars, encouraging exiles to send money to relatives on the island. Private farmers were allowed to sell crops directly to consumers. Foreign tourism was encouraged. Soviet-style atheism was set aside and Pope John Paul II paid a visit. A ban on Santa Claus and Christmas trees was lifted, as were measures against the island’s Afro-influenced Santeria religion. 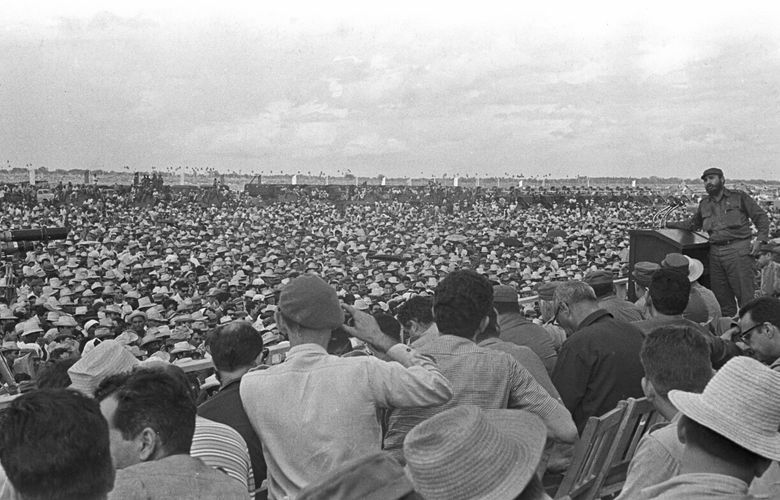 Castro, once a student of Jesuits, began giving speeches about Christ as a revolutionary. Foreign investment helped boost oil and nickel production. Castro also found a new benefactor in Chavez, who directed some of Venezuela’s vast oil wealth into generous deals that bolstered Cuba’s economy. But as soon as the crisis eased, Castro decried the inequality that even limited capitalism had begun to create. The government began taking a greater cut of remittances. Many private businesses were taxed or regulated out of existence. Years later, economists and even Castro’s brother would allude to the about-face as a critical error. 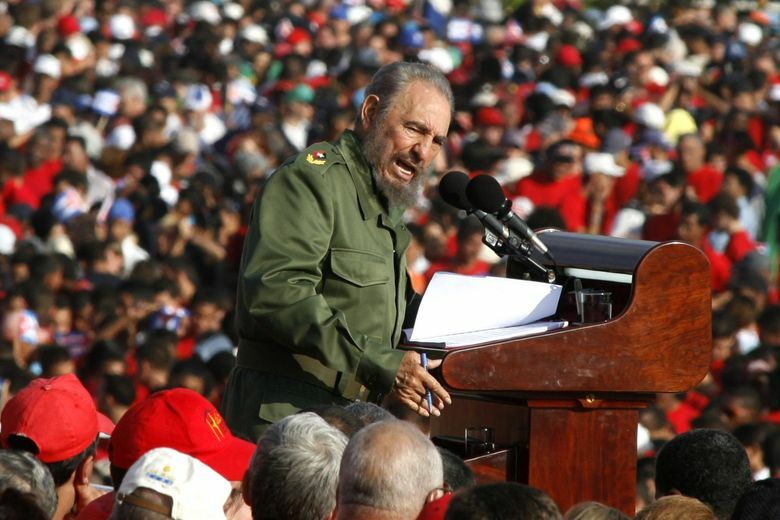 After Raul pushed more dramatic reform in 2010, Fidel praised the effort despite his previous aversion to free markets. He even told a U.S. journalist that Cuba’s socialist model “doesn’t even work for us anymore,” though he later said his statement was misinterpreted. Fidel Castro came to power as Europe’s colonies in Africa and Asia were gaining independence, the Vietnam war was just starting and much of Latin America was ruled by dictators. He chose the losing side in the Cold War, and by the twilight of his rule democracy’s roots had spread so extensively through the Western Hemisphere that Cuba was the only corner without at least some level of multiparty government. Associated Press writer Michael Weissenstein reported this story in Havana and Paul Haven reported from Mexico City. AP writers John Rice and Peter Orsi in Mexico City contributed to this report.